Even though this Simon’s Cat video is from last year, it is a classic and I’m sure you will love seeing it again — I MOL every time I watch it! 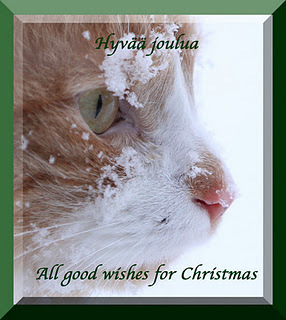 Things have been very hectic around here this month, so my human was not able to put together an eCard for me this year. But I thank all of you who did have holiday eCards! I am sharing them below. They are in no particular order — if yours isn’t here, let me know where I can grab a copy! Merry, Merry, Meowy Christmas to you Sparkle and Your family!! 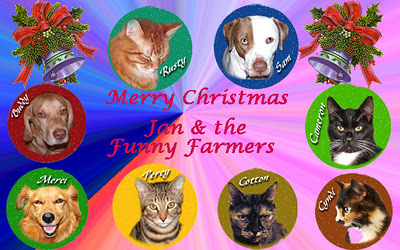 We have our Christmas ecard on todays Blog!! We love the Simon’s Cat videos. The new one with the kitten is one of our favorites. We just sent you a copy of our ecard. So sorry we missed you when we were sending them out. We wish you the merriest Christmas! Thank you so much for the support you’ve given Mom Paula this year. We look forward to many more years as furriends on the CB. We love the Simon’s Cat videos. We are wishing a Happy Holiday to our friend Sparkle! 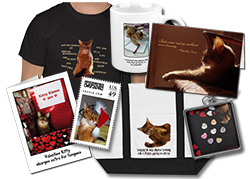 Our “virtual” card is at the bottom of our blog today……feel free to take it if you want it…for some reason we never got a few that you have there….they are adorable! 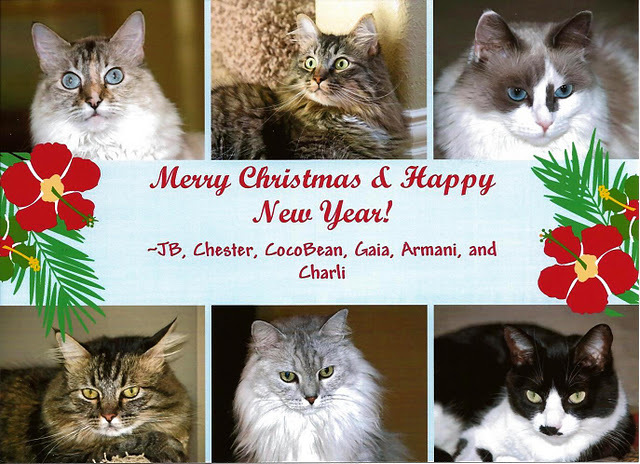 Meowy Christmas, Sparkle…to you and your family! 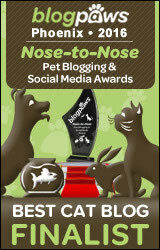 Our e-card is on our blog today! That video was so funny! Haven’t seen that one before. Beautiful ecards Sparkle. Feliz Navidad! MERRY CHRISTMAS Sparkle and your family too!!!!!!!!! A very Merry Christmas to you! We’re wishing you a fabulous day. Thanks for visiting us, too! Your Christmas Sunday Cantinee “priceless.” Beautiful cards also. Merry Christmas to everyone at your house from everyone at mine! What a wonderful array of cards. That video made us laugh too! So many lovely e-cards. Our mommy doesn’t know how to make them. Anyway, we hope you all have a very Merry Christmas! Love that video! Y’all have yourselves a Merry little Christmas! I just love Simon. I have watched that four times and laugh every time. The ending is the best where he points to his mouth. He is hungry. We sure wish you a very Merry Christmas. We didn’t make a card either. Mom is such a slacker when it comes to making that stuff. Take care. We think all the Christmas cards are terrific. Merry Christmas Sparkle! We hope you and your family are having a very special day. What a fun and bright post for today, Sparkle! merry Christmas to you all!! Simba and Audrey and humans. Thanks for the Simon’s Cat video – we had seen it before but Mum doesn’t care cos they still make her laugh!! We hope you all have a lovely Christmas. A beautiful way to share Christmas friends, and Christmas friendship. Merry Meowy to you and yours.